My Review: It says something when it's not until midway through this 20-minute film that I even realized that I was not watching a documentary. 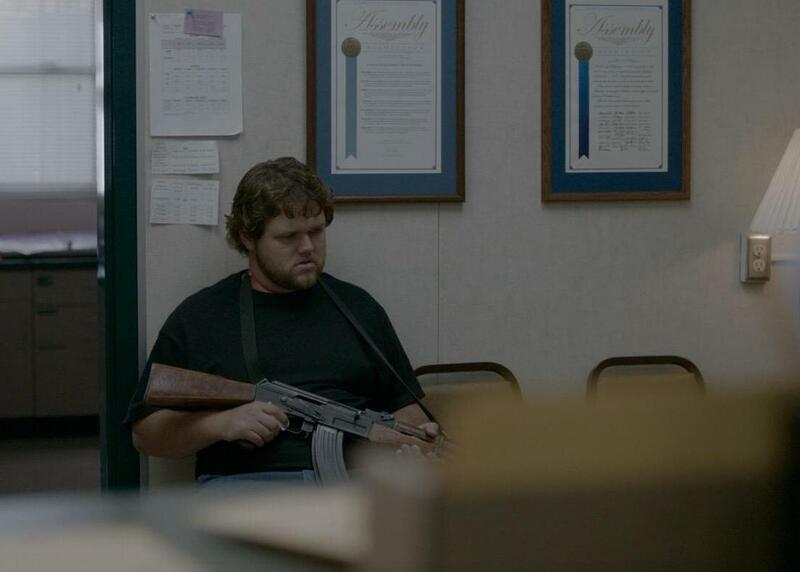 With school shootings on the rise in the U.S., I just assumed that this narrative, which follows a mentally ill man (Bo Mitchell) who surprises an elementary school office when he takes a shotgun out of his backpack and aims it at them, was somehow a chilling reenactment of an actual event. Everything about this rings very authentic, including the fearful portrayal of a school administrator (Riggs) held hostage by an unable man. While you expect the film to spin out with blood splatter and young kids running through the hallways, it remains instead eerily calm, consisting of impressively controlled dialogue between the shooter and his captive, who bravely finds a way to reason with him—revealing intimate details from both parties. My Review: Breakup films are hard to watch, no matter how much love they reveal. And this 19-minute Danish film is no exception. 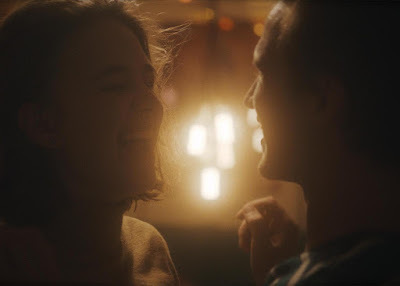 But with its glorious cinematography (shout out to Christian Houge Laursen), capturing both the romantic warmth and stark coldness of pre- and post-breakup primarily set in a dimly lit apartment, and the performances by its two stars (Frederikke Dahl Hansen and Ferdinand Falsen Hiis), you're quickly swept away into this complicated love affair on the brink. When we meet Cecilie and William, he's struggling to find a delicate balance to break things off with her, while she crumbles before him. Deciding to spend their final night as a couple high on MDMA, recreating their wildest moments in the privacy of their shared apartment, they're reminded the next day of their devastating reality and the souls they are left with. For more information on the SXSW Film Awards, click here. I'd watch both of these. I hope I get the chance.